Hydropower could help the region balance tackling climate change with enabling economic development. New international binding agreements on climate issues will be a major challenge for all nations. Renewable energy, and hydropower in particular, can help the region rise to the challenge, write Dogan Altinbilek and Cecilia Tortajada. Some 50,000 people from all over the world gathered in Paris for the 21st Session of the Conference of the Parties to the United Nations Framework Convention on Climate Change, known as COP 21 or the Paris Climate Conference. Governments were expected to reach a new international binding agreement on climate that would keep global warming below 2 degrees Celsius. Achieving this goal will be a major challenge for all nations. Among the issues of increasing global concern are the uncertain effects of climate change on water resources and the impacts these will have on the human and natural environments of both rich and poor countries. The current consensus is that climate change will contribute to more extreme hydrologic events like droughts and floods and thus more disasters. In the Asia-Pacific region, this could include prolonged severe droughts and floods in countries like Australia, China, India, Indonesia, and typhoons in Japan, eastern China and the Philippines. The latest severe floods in Chennai are just one example. In addition, the Pacific Small Island States will have to live with tropical storms and a steady rise in sea level. Impacts are likely to intensify in the future, especially due to increasing population growth and density and acceleration of economic activities. A major global challenge at present is how to reduce greenhouse gas emissions and simultaneously ensure that more energy is available to underpin increasing economic activities and improving quality of life in developing countries. This will require many difficult policy actions, including progressively reducing the future use of fossil fuels and increasing the percentage share of renewable energy in the overall energy mix. This is truly a mammoth task, especially when it is considered that fossil fuels still represent 80 per cent of the energy the world uses at present. A very good proxy of the level of economic development of a country is the electricity use per person per year. While this has been improving, it is still dismal in developing Asia, with no country in the first 58 places in the global ranking. In India, currently more than 25 per cent of the population does not have access to electricity. In Bangladesh, it is 59 per cent, Indonesia 36 per cent, Pakistan 38 per cent and Myanmar a staggering 87 per cent. The provision of more electricity per person is thus necessary in developing Asia. Increasing urbanisation, population growth and people’s expectations for steadily increasing standards of living mean there is no other alternative. Since fossil fuels emit greenhouse gases, expanding their use is not a long-term option. A cost-effective alternative that the world has at present is hydropower. This is currently the world’s largest source of renewable energy. It produces at present one-fifth of global electricity, more than all other renewables combined. In addition to generating electricity, hydro dams also provide numerous services like water supply, irrigation, navigation, flood control and drought management. This is because hydropower generation does not consume any water, so it is available subsequently for all other potential uses. By 2050, emerging economies and developing countries combined are expected to double their electricity production through hydropower reaching 2,000 gigawatts of global capacity and over 7,000 terawatt-hours (TWh) of electricity use. Properly planned and managed hydropower has the potential to promote social and economic development and simultaneously prevent annual greenhouse gas emissions estimated at 3 billion tonnes of CO2 from fossil-fuel plants by that date. Hydropower will be especially relevant in South Asia and Sub-Saharan Africa where there are enormous needs, but where hydropower potential has not been adequately tapped. In South Asia, hydropower development has a great potential to contribute to overall socio-economic development in the Hindu Kush–Himalayan region. An estimated 1.3 billion people live in this region, and they represent the majority of the world’s absolute poor. The entire region relies on 10 major rivers to cover their water, energy, food, and ecological needs. Harnessing the water resources of these rivers could provide enormous opportunities for the vast population and socio-economic development, also meeting their energy needs without adding to global warming. In the case of Nepal, the International Centre for Integrated Mountain Development (ICIMOD) estimates that, with hydropower, the country has the potential to generate 29,733 gigawatt hours of electricity annually. This will successfully meet the country’s present and future power requirements and improve the standard of living by encouraging development of industrial and services sector. In addition, electricity produced could also be exported to neighbouring electricity-hungry countries like India, Bangladesh and Pakistan. A good example of this model is Bhutan. With Indian financial, technical and managerial assistance, the country now generates electricity that covers its own expanding needs. Additionally, electricity is then sold to India through a very successfully model. Thanks to hydropower, Bhutan now has the highest per capita income in South Asia, as well as the highest per capita electricity use. 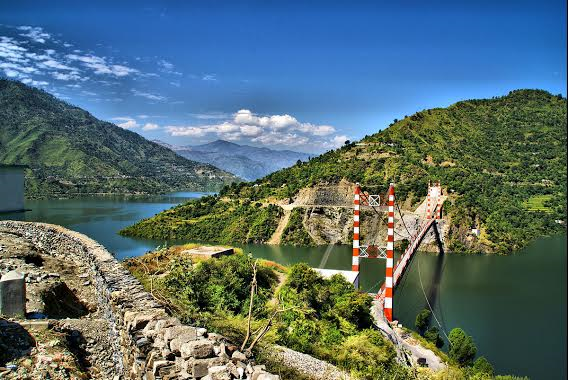 Transboundary hydropower trade has the distinct potential to enhance regional development and cooperation in the South Asian countries in the coming years. Development of hydropower has been controversial because of socio-economic and environmental impacts. However, we know how these constraints can be overcome through proper planning and better management practices. We have the knowledge and capacity to plan, construct and manage large hydro infrastructure that will ensure social and environmental costs are kept to a minimum and thus acceptable to the society as a whole. The enormity of challenges related to climate change is starting to test the resilience of countries all over the developed and developing world. Renewable energy in general, and hydropower in particular, represent a feasible option to ensure that the overall objectives of promoting socio-economic development, electricity generation and greenhouse gas emissions can all be met simultaneously. This piece is based on a study carried out for the World Water Council presented during COP21. Cecilia Tortajada is a senior research fellow at the Institute of Water Policy, Lee Kuan Yew School of Public Policy, National University of Singapore. Prof. Dogan Altinbilek (Turkey) is Governor and Vice President of World Water Council (WWC) and President of International Water Resources Association (IWRA).